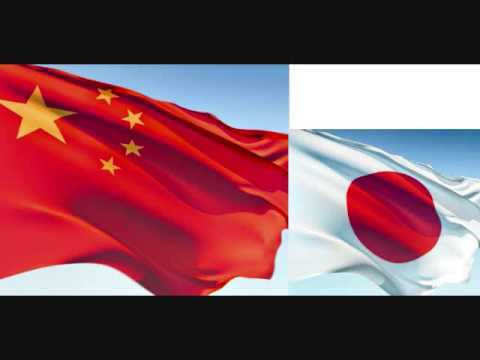 TOKYO — Japan confirmed Monday that China’s economy surpassed its own as the world’s second largest in 2010 and said a late-year downturn was Japan’s first quarterly contraction in more than a year. Japan’s real GDP expanded 3.9 percent in the calendar year in the first annual growth in three years, but it wasn’t enough to hold off a surging China. Japan’s nominal GDP last year came to $5.4742 trillion, less than China’s total of $5.8786 trillion, the Cabinet Office said. Gross domestic product shrunk at an annualized rate of 1.1 percent in the October-December quarter, a sharp reversal from a revised 3.3 percent expansion in the third quarter, the government said. A slowdown in exports and weaker consumer demand at home led to the unsurprising downturn, which is expected to be temporary. The result was better than Kyodo news agency’s average market forecast of an annualized 2.2 percent decline. China was acknowledged last year as having grown to the world’s second-largest economy, but the Japanese data confirming it were not available until Monday. The switch underscores the nations’ stark contrasts: China is growing rapidly and driving the global economy, while Japan is struggling with persistent deflation, an aging population and ballooning public debt. Prime Minister Naoto Kan has pledged to revive the economy and make major reforms in the country’s tax and social welfare systems. His approval ratings are eroding quickly, however, as voters question his government’s ability to lead the country through its pressing problems. The fourth-quarter figure translates to a 0.3 percent fall from the previous three-month period, according to the Cabinet Office’s preliminary data. Consumer spending, which accounts for some 60 percent of GDP, fell 0.7 percent. Auto sales slumped during the quarter after government subsidies for “green” vehicles expired in September. Exports fell 0.7 percent from the previous quarter amid a strong yen and waning global demand. A rise in the Japanese currency reduces the value of exporters’ profits overseas and makes Japanese goods pricier in foreign markets. The road ahead looks brighter, with economists saying GDP will expand this quarter in tandem with global growth. The head of Japan’s central bank, Masaaki Shirakawa, said last week that that recent signs indicate Japan is emerging from the “pause” and performing at par with other advanced economies. “The economy seems to be recovering again from December, so the negative growth in (the fourth quarter) need not become the basis for pessimism about Japan’s cyclical outlook,” he said in a report this month. Sunspot 1158 has just unleashed the strongest solar flare of the year, an M6.6-category blast @ 1738 UT on Feb. 13th and it is heading straight for Earth. 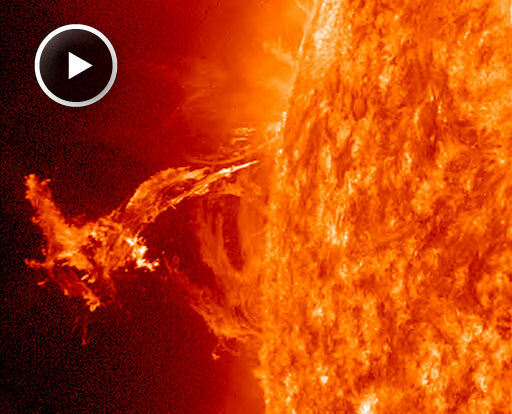 The eruption appears to have launched a coronal mass ejection (CME) toward Earth. It also produced a loud blast of radio emissions heard in shortwave receivers around the dayside of our planet. Amateur radio astronomer Thomas Ashcraft recorded these sounds. Stay tuned for updates! Solar activity increased sharply over the weekend with the eruption of an M6.6-class solar flare from behemoth sunspot 1158. The blast produced a strong burst of radio waves heard in the loudspeakers of shortwave receivers around the dayside of our planet, and it appears to have hurled a faint coronal mass ejection toward Earth. Sunspot 1158 is growing rapidly (48 hour movie) and crackling with M-class solar flares. The active region is now more than 100,000 km wide with at least a dozen Earth-sized dark cores scattered beneath its unstable magnetic canopy. Earth-directed eruptions are likely in the hours ahead. The remains of old sunspot complex 1147-1149 are rotating over the eastern limb today. Although the region is in an advanced state of decay, it’s not dead yet. During the late hours of Feb. 11th, a plasma bullet came rocketing out of the region’s unstable core. Watch the movie–but don’t blink, because it’s fast. The ‘dry canal’ would link Colombia’s Atlantic and Pacific coasts by rail, according to Juan Manuel Santos, the president of Colombia. 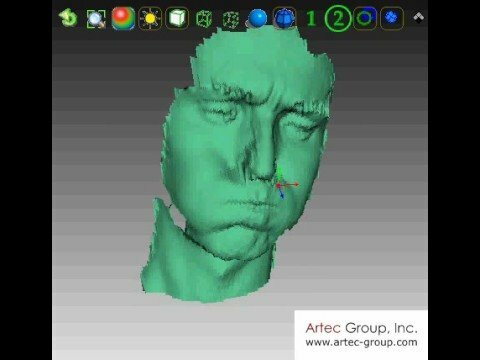 Sheremetyevo International Airport has completed the first stage of testing of the Russian-owned Artec Ventures new novel biometric security system BROADWAY 3D, which is based on using one of the most reliable biometrics – the three-dimensional surface of the face. The system delivers highly reliable identity recognition with minimal human involvement in the process of identification, which is of particular importance given the requirements set out in the Rules on the protection of airports and their infrastructural facilities (approved by Resolution No 42 of the government of the Russian Federation, dated 1 February 2011). The company is headquartered in Palo Alto, California, USA with its R&D office in Moscow, Russia. WASHINGTON (AFP) – US researchers said Friday they have found that people who used two specific varieties of pesticide were 2.5 times as likely to develop Parkinson’s disease. The pesticides, paraquat and rotenone, are not approved for house and garden use. Previous research on animals has linked paraquat to Parkinson’s disease, so it is restricted to use by certified applicators. “Rotenone directly inhibits the function of the mitochondria, the structure responsible for making energy in the cell,” said study co-author Freya Kamel, a researcher at the National Institute of Environmental Health Sciences. The study examined 110 people with Parkinson’s disease and 358 people who served as a control group from the Farming and Movement Evaluation (FAME) Study. The study appears in the journal Environmental Health Perspectives. Without court oversight, the nation’s top law enforcement agency can obtain domestic records of telephone conversations made to international receivers, the Justice Department claimed recently. “[The Office of Legal Counsel] agreed with the FBI that under certain circumstances (word or words redacted) allows the FBI to ask for and obtain these records on a voluntary basis from the providers, without legal process or a qualifying emergency,” the Justice Department’s inspector general said in a recent report by McClatchy Newspapers. The claim put forth in the document released to McClatchy seemed to indicate that the Obama administration has continued the previous administration’s policies. The Bush administration maintained that the FBI needed such policing powers in order to stop possible terrorism. Critics of the FBI’s surveillance program stated that the tactic was frequently applied in abusive manners.